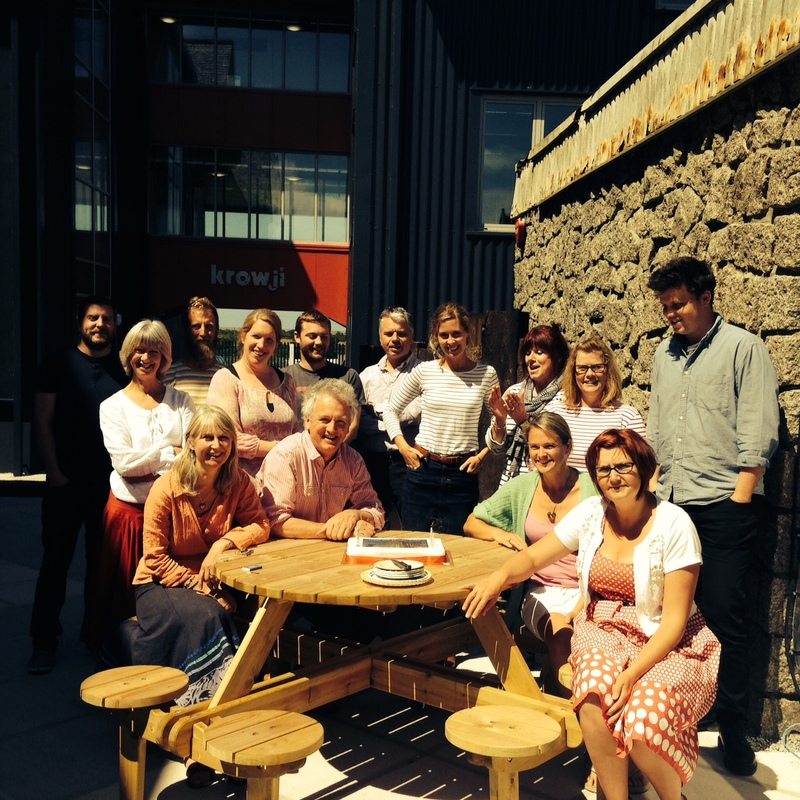 In July 2015 the Krowji admin team, ACT and a few Krowji tenants gathered in the courtyard to celebrate Krowji’s tenth birthday! The site now known as Krowji started life as a boys grammar school on 5th October 1907. Over the years the site grew and adapted to become a secondary school for both boys and girls. In 2002 the school closed and so the buildings became derelict. In 2005 Cornwall Arts Centre Trust (ACT) bought the site to relocate their projects and begin renovating the old classrooms into artist studios. The site was then known as ‘The Old Grammar School’. In 2007 this was rebranded as Krowji, which is Cornish for workshop or shed. 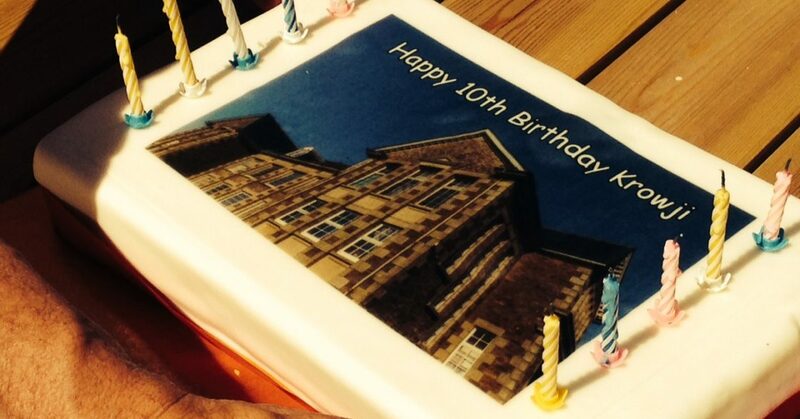 2015 not only marked the tenth birthday of Krowji, but also the beginning of a new chapter with the opening of the Percy Williams Building. Read more about this here.